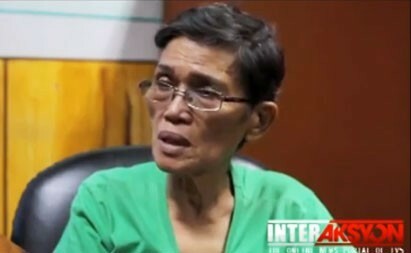 As we commemorate the 40th anniversary of the declaration of Martial Law on September 21, 1972, InterAksyon.com posts a series of testimonies from human rights victims of the Marcos regime. Thousands of Filipinos were murdered, tortured, or disappeared in the 14 years the country was under a dictatorship. After the fall of the Marcos regime in 1986, close to 10,000 human rights victims – the survivors themselves or their families – filed a class suit against the Marcos estate. A US district court in Hawaii ruled in January 1995 that the victims are entitled to a share of the ill-gotten wealth recovered from the Marcoses: a total of $2.7 billion for their torment and torture. However, the legal victory remains only on paper. The Hawaii ruling has to be enforced in the Philippines by a local court. The Makati Regional Trial Court is currently hearing the case but the Marcoses have so far been successful in blocking compensation to the plaintiffs. So far, only $10 million, or $1,000 each, has been awarded to the victims and their kin. The money is not even part of the $2.7-billion compensatory and exemplary damages awarded by the Hawaii court but is from a settlement with Marcos crony, Jose Yao Campos, who has real estate properties in Texas and Colorado. Trinidad “Trining” Herrera, now 71, was arrested on April 23, 1977, two years after she escaped from a military general who was supposed to issue her an arrest, seizure, and search order (Asso). After being ushered into a room with four men, two electric wires—connected to a device that looked like a military field telephone—were wrapped around her thumbs, she said. She was then asked questions. Was she involved in the Left movement? Was she a communist? Did she meet up with communists? If her captors disliked her answers, they would fiddle with the knobs on the device, which gave her a shock. The shocks became so frequent that her thumbs bled. Still dissatisfied with the answers, they took the wires off her thumbs and placed them around her breasts. This went on for three hours, causing her to be temporarily incoherent for a few days, a condition that was cured by taking a bath three to four times a day. She was released a week later after then-US Ambassador to the Philippines Stephen Bosworth paid her a visit and handed her a letter from then-First Lady Rosalind Carter, who told her to be strong. “There will come a time when something good will come of this,” Herrera said.